We are a group of bike enthusiasts who want to make sure that everyone, whatever their age or ability, has the chance to have as much fun cycling as we do! Brian is JR’s elected chairman. Now retired but he has worked in cardiac critical care and special needs physical education. Just the man you need to keep it all together! Gwen teaches in a local special needs school and is a keen cyclist. She is passionate about getting people of all abilities out on their bikes and is head coach with Essex Roads Cycling Club, runs a cycling club at a local junior school and is a “Breeze Champion” leading short, social rides for ladies in and around Southend. Dave is a well known local figure who although having cerebral palsy is an enthusiastic trike rider. He does lots of good work and serves on the committee of many charitable causes. David is always receiving awards for all the outstanding work he’s carried out! Amber is an enthusiastic volunteer who helps with the sessions on a Tuesday and is also in charge of JR’s website, Facebook and events. Amber recently received an award in recognition of her contribution to improving the lives of people in the community through Just Ride Southend. Pete is an avid local cyclist, he works as a coordinator of services for adults with Learning Disabilities where he has helped encourage people to take up cycling. A firm believer in ‘cycling for all’. Chris is also very driven to give everyone the opportunity to cycle. Attending both Tuesday and Wednesday sessions with his enthusiastic group from Project 49. Day’s at the track would not be the same if they weren’t around! John has been a volunteer and trustee from the very beginning helping out with Tuesday sessions and stepping in to save the day when needed! John’s also very good at coming to the rescue when the bikes are needing a bit of TLC. John is session leader for JR’s Wednesday sessions and yet another extremely keen cyclist! John recently received an award in recognition of his contribution to improving the lives of people in the community through Just Ride Southend. Matt loves cycling and anything that encourages adults and children to get out more on their bikes! He has previously taught adults and children how to cycle as apart of the DfT Bikeability programme for the local authority. Doris is one of our wonderful volunteers on Saturday sessions. She’s keen to get everyone cycling and keeps the place running like clockwork. Loves to help out at any of our events with some delicious baking!  Just Ride Southend is run purely by our wonderful volunteers. It’s lovely to have such a great, enthusiastic team (more than the few listed above!) We can’t thank them all enough.